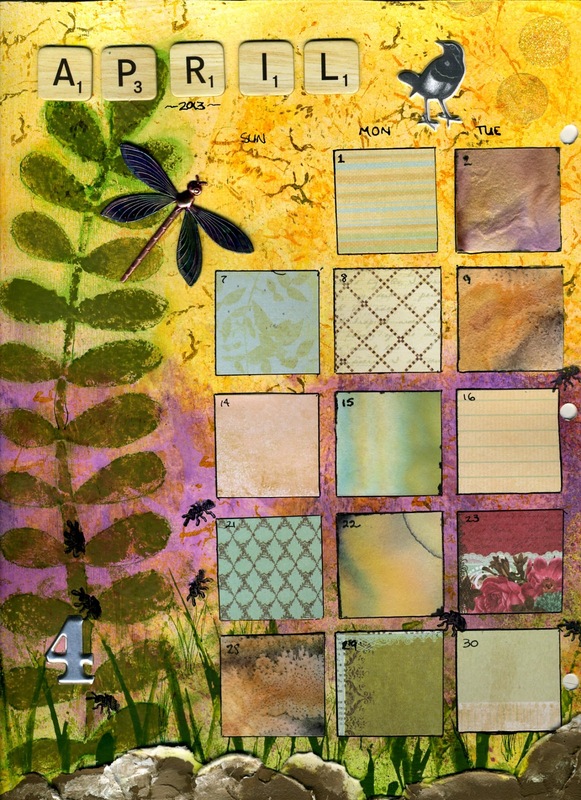 Each month, I create a calendar spread for my journal. 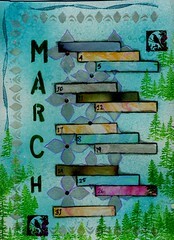 The April one is shown below. April sees the return of the sun...and also the insects. Dirty piles of snow still linger here and there, but the morning dew sparkles on the spider's web. Summer is promised. Waterfalls is a new painting, finished yesterday. 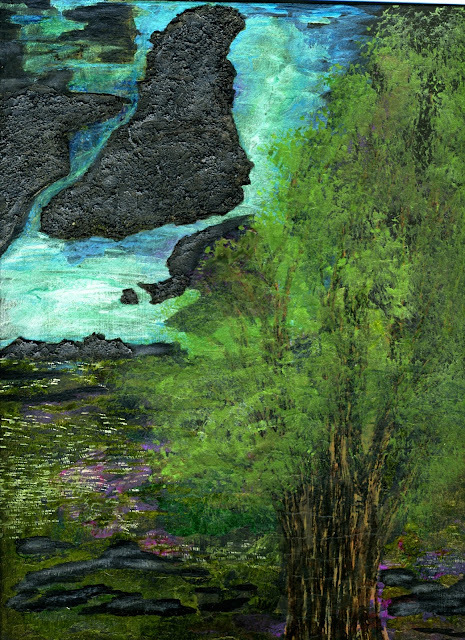 It is acrylics on chipboard, size is 9 x 12 inches. March 2013 L, a photo by VTpicturesPPP on Flickr. 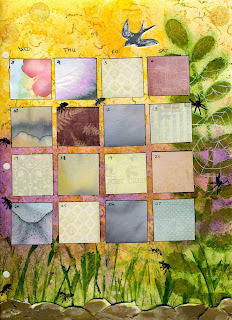 I've just uploaded my March 2013 Calendar Journal page. 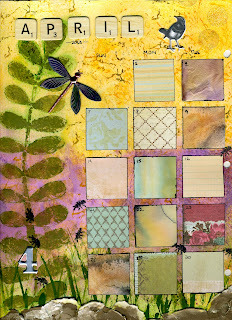 This is the first of two pages...I write on the little pieces of handmade paper each day.